This is exciting news: a new IELTS test called IELTS Life Skills is going to be available from April 2015. Candidates will be able to register and pay for their test from late March 2015. As this test is brand new and has been just announced one day ago, there isn’t much information available yet. We did our best to prepare a summary for you, and will update it as soon as more details come out. IELTS Life Skills test is different from the General Training IELTS and from the Academic IELTS, it only tests two skills, Listening and Speaking. It is intended mainly for people wanting to immigrate to the UK. At the time of writing this (21 February 2015) the new test was announced at the same time as changes to UK immigration requirements and on the official IELTS website it is linked specifically to the UK immigration, but in the future other countries might add the IELTS Life Skills test to their visa requirements. IELTS Life Skills will be testing Speaking and Listening at CEFR Level A1 and CEFR Level B1 (read more on CEFR here). Why just two skills? Because it was designed to meet specific immigration requirements for which applicants only need to prove their speaking and listening skills. There are 3 people in the examination room: two test takers and one examiner. The examiner is assessing each of the two test takers. At times the two test takers are required to interact with each other. There is no break between the Speaking and Listening assessments. Note: the performance of one test taker is not supposed to affect the score of the other test taker. At times during the test candidates are allowed to take notes to prepare their answers. The examiner will not mark those notes – only the candidates’ speaking and listening skills are marked during the test. A1 and B1 levels: candidates will listen to a task played on a CD. Completing the task allows them to show ability to listen for both the general meaning and detail. Candidates need to say their answers (not write them down), although they can make notes on paper while listening to the CD. Then there will be a discussion on a topic related to what candidates have listened to on the CD. B1 level only: in addition to the tasks above there is also another task where one candidate plans an activity with the other candidate. Note: the reason one candidate has to interact with the other is, IELTS Life Skills tests how well people can communicate with others in everyday English. The best way to test these skills is to put two test takers at a similar level of ability in a situation that allows them to show how well they can speak English to communicate and engage in discussion with others. In this test you can get only one of two results: ‘pass’ or ‘below pass’ (which basically means fail). If you receive ‘below pass’ your result won’t allow you to proceed with your visa application. 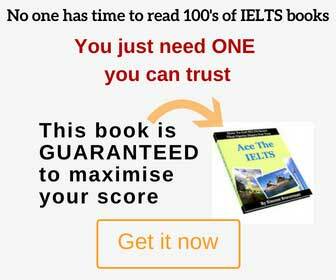 IELTS Life Skills at CEFR Level A1 takes only 16-18 minutes. IELTS Life Skills at Level B1 takes 22 minutes. The test dates and locations aren’t available at the time of writing this post, as soon as they are announced and registration begins, we will update this announcement. Test results are available within 6 days of the test. You can find more information about whether you need to take IELTS Life Skills test and what level you need to achieve on this website. “If you take IELTS on or before 5 April 2015 you may be able to use it for your application up to 5 November 2015. You should confirm this with UKVI before making your application. From 6 April 2015 you must take the test at an IELTS test centre authorised by UKVI to run IELTS tests for UK visa and immigration purposes and you must confirm at the time of registration that you wish to use your test for UK Visas and Immigration.